You might have noticed that the National Museum of American History had closed its two First Lady exhibits. Fans of first-lady fashion, fear not. The museum only temporarily closed their two original collections to revamp the exhibit and make it better than ever. The new gallery opens this Saturday, nov. 18. It’s set to feature some of the dresses of the first ladies, and examine how the role of women evolved over the course of several presidencies. The exhibit will feature 26 stunning gowns from first ladies over the years. You’ll get a chance to see how style has evolved, and learn a little bit more about the women who wore them. Don’t miss iconic Jackie Kennedy ensembles and more recent outfits from Laura Bush. 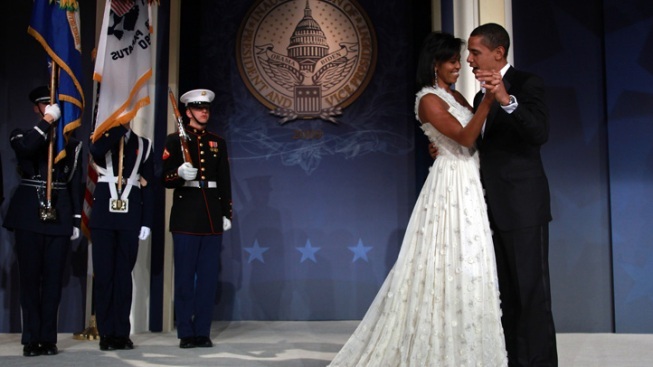 One highlight from the collection is Michelle Obama’s iconic and ethereal one-shoulder white chiffon gown, worn to the 2009 inaugural balls. Dolley Madison, Mary Lincoln, Edith Roosevelt and Lady Bird Johnson will also get special attention in a section of the exhibit which examines their distinctive roles during their tenure as first lady.